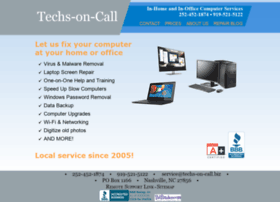 Techs-on-Call is an on-site computer repair company. We come to you for all your computer services. Customer satisfaction is our priority.